Eat'n Park Restaurant was founded in 1949 as the first Pittsburgh-area drive-in with carhops. 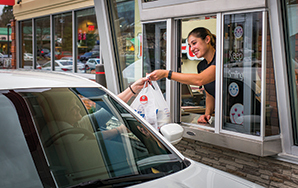 Though the carhops are gone, and we now have more than 60 locations throughout Pennsylvania, West Virginia, and Ohio, one thing remains the same -- our commitment to providing great food, exceptional value, and outstanding service. Our restaurants have become institutions in the communities that we serve. 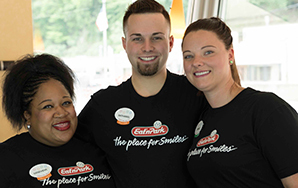 A friendly neighborhood meeting place that you can depend on for a great meal and a smile; Eat’n Park is a restaurant where you always feel at home. With an extensive menu of breakfast, lunch, and dinner favorites, we have something for everyone. Our endless Soup, Salad & Fruit Bar features fresh fruits and vegetables sourced from local farms through our FarmSource program. Hand-breaded fish, homemade Chicken Noodle Soup, and our classic Superburger are just a few of the things guests love about Eat’n Park. Our guests mean the world to us, and we go out of our way to accommodate food allergies and other special dietary requests, such as a host of low-calorie features as well as many Celiac friendly options including a gluten-free bun. Plus, Eat'n Park is great for takeout. Our online ordering coupled with our many pickup windows make it quick, easy, and delicious! In our bakeries, you’ll find fresh-baked bread, homemade pies like our famous Strawberry Pie (in season), and Smiley Cookies iced by hand. We have been handing out these iconic cookies for the past 30 years to children dining in our restaurants. Smiley Cookies are also available to guests of all ages, who buy them by the dozen. In fact, we produce almost 20 million Smiley Cookies every year! 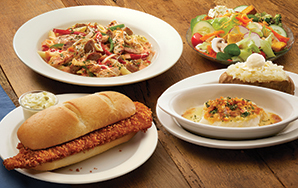 To learn more about Eat’n Park, click here.